Your instructors have years of experience teaching and coaching all over the world, from first time skiers to world class athletes. They all hold their BASI ISTD level 4 qualification and French equivalent which has helped them help hundreads of clients reach their goals. 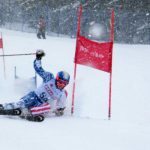 Many have accomplished their first solo run, passing instructor exams or competed at the World Junior Championships with the help of our instructors. From start to finish you will be in direct contact with us, your coaches. You need to be turning to be learning! As a fully qualified instructor, with experience working in the roughest terrain throughout the world, Ben pushes his lessons to the limit. His teaching style is adaptable and suits all abilities – he has even been known to pull a backflip mid race. Joining PDS Academy at the tender age of 22, Stu is one of the youngest fully qualified BASI ISTD Instructors. 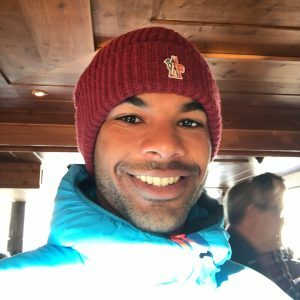 Having taught all over the world in countries such as Japan and Italy, he now joins us in France to share his knowledge, experience and enthusiasm in the Portes du Soleil and Espace Killy! 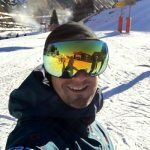 Cameron a well known face around Morzine, his home resort of 24 years, joins the PDS Academy Team after teaching in Switzerland for 6 years. 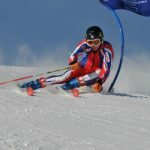 Cameron has been a member of the British Disabled Ski Team as guide to one of the UK’s top visually impaired Alpine Ski racers. Alongside ski racing, Cameron has also worked as an alpine race coach for young British athletes. Cameron strives to share his passion for skiing and the beauty of its surroundings. Alex started his training in Argentina and continued with it on his return to Austria and then Switzerland. Since becoming BASI qualified, Alex has taught in New Zealand where he headed up his own successful race programme. 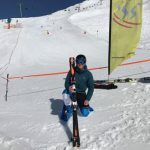 Alex’s love for off piste skiing developed early on in his training where he skied with a number of the British Freestyle team. 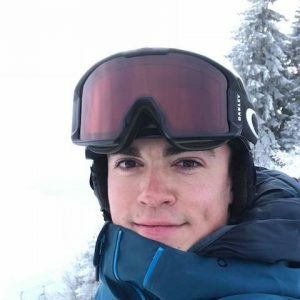 Alex is a talented videographer and regularly films his freestyle skiing which he then edits to create short films. He has recently discovered a passion for racing and had ambitions to become a regular on the competitive race circuit. James started working at PDS during the 2017/18 season after completing his final instructor qualifications. Although he was already an experienced teacher having taught in Andorra, Switzerland and the Manchester Chillfactore in the UK. James can often be found at the Chillfactore coaching apprentice instructors indoors over the summer. 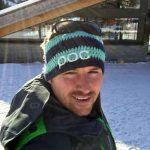 He’s been teaching from the age of 16 and is also a qualified First Aid instructor, often running courses during the winter for Instructors and Chalet staff. Merlin learnt to ski on dryslope whilst growing up in London. A true multi sport athlete he has shown a love for mastering movement patterns in many different sports. A keen Surfer, Climber and Fighter in Brazilian Jiu Jitsu he travels the world studying these crafts. Currently he is based in Iceland training MMA and learning Icelandic. 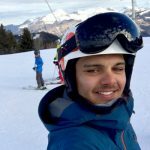 Gregg is knowledgeable about The Three Valleys, particularly Courchevel, as he’s taught in the region for the past 8 winters and holidayed there since the age of 4. As well as teaching, Gregg has coached Ski cross and trained ski instructors to help them pass their Eurotest exam. 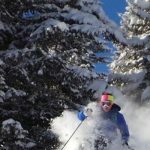 Gregg has done 18 ski seasons across the Northern and Southern hemispheres. 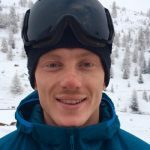 He has raced for the British Development squad and in Ski cross at World Cup level, representing Great Britain in the 2009 World Championships. During the summer months Gregg keeps himself busy working as a Professional driver or Brand Ambassador driving new cars at events round the world. 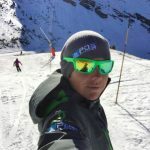 Gareth has been lucky enough to have been working as a fully qualified British ski instructor in Courchevel and Meribel, in the French Alps for nearly a decade. The Three Valleys is his favourite ski area because it offers something for every level of skier and is the largest ski area in the world. 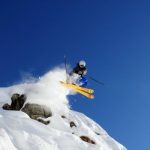 Gareth believes that skiing is all about the feelings of freedom and exhilaration. Being able to share these experiences with other people in the best ski area in the world is a dream come true for him. 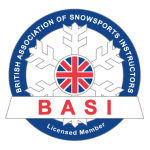 As well as teaching people to ski Gareth is also a British Association of Snowsport Instructors (BASI) Trainer. 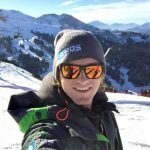 Throughout the year he puts trainee ski instructors through their paces, running training courses and examination for BASI all over the world. Robbie loved Sainte Foy, Val d’Isere and Tignes so much he is back again! 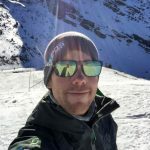 Robbie is a co founder of PDS Tarentaise/Espace Killy and a fully qualified ski teacher through the BASI (British) and NZSIA (New Zealand) systems. He discovered his passion for teaching skiing when he was just 16 at his local dry ski slope in Welwyn Garden City. Robbie is a born teacher having practiced and perfected his skills all over the world. He has done numerous winter seasons in Colorado, Italy, Switzerland and New Zealand. Robbie is mad about the mountains and spends his summers in the Alps running children and adult summer camps. 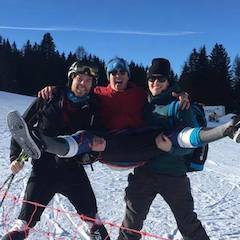 Dan is one of the co founders of PDS in the Tarentaise/Espace Killy and is BASI Level 4 ISTD certified. Dan learnt to ski when he was 4 and has carried on ever since. He has taught in many different countries including Switzerland, America and Italy and has a wealth of experience and knowledge. Dan loves teaching in the sports he has a real passion for and gets great reward from seeing other people progress. When not on his skis or snowboard Dan spends a lot of his time surfing, which is another one of his passions. Dan is also a qualified personal trainer so why not ask him some fitness questions while on your lessons.